Nissan said Mann would not be returning to its side of the alliance. TOKYO – Veteran Nissan executive Trevor Mann, who served as Mitsubishi's chief operating officer, will leave the automaker. 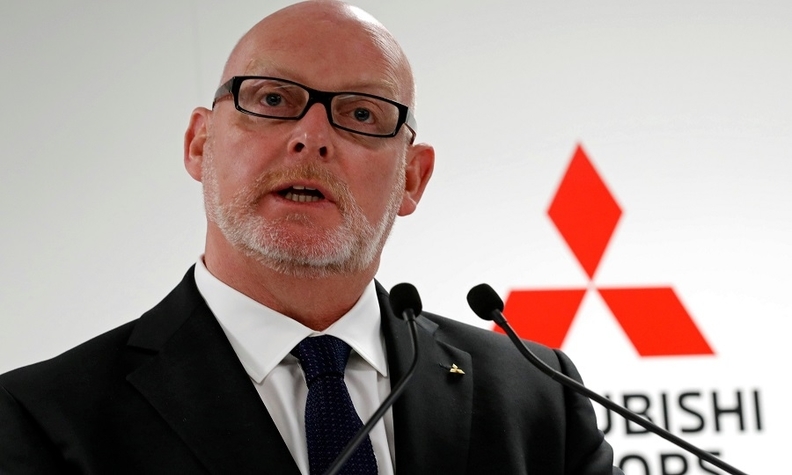 Mann, a British executive who joined Nissan's UK operations in 1985, was sent to Mitsubishi in 2016 following Nissan’s acquisition of a controlling 34 percent stake in the automaker in 2016. Mann, 57, will leave the company at the end of March. He will be replaced as COO by Ashwani Gupta, currently senior vice president for global commercial vehicles at the Renault-Nissan-Mitsubishi alliance, effective April 1. Mitsubishi announced the changes on Wednesday as part of a wider shuffle among the top ranks at Nissan and Mitsubishi in the wake of the arrest of Carlos Ghosn in November. Before being dispatched to Mitsubishi, Mann served as Nissan’s chief performance officer under former chairman and then-CEO Ghosn, who was arrested Nov. 19 for alleged financial misconduct at Nissan. Mitsubishi did not say what Mann was doing next. After joining Nissan as a team leader in trim and final assembly at the automaker's factory in Sunderland, northeast England, Mann rose to become head of UK manufacturing and took on other European leadership roles before being promoted to bigger responsibilities at Nissan's headquarters in Japan. Also leaving Mitsubishi will be Vincent Cobee, 50, who joined the company from Nissan as head of product strategy. At Nissan, Cobee was senior executive officer in charge of global business for Datsun, Nissan’s rebooted emerging market brand. Mitsubishi received an influx of Nissan executives following Nissan’s acquisition of the smaller Japanese automaker. Ghosn championed he partnership as a way to build scale and cut costs.